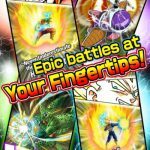 Having brought you up to speed on what you can expect from the game, let’s take you to our latest batch of Dragon Ball Z Dokkan Battle tips and tricks. 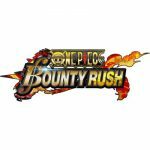 This time, we’ll be teaching you how to reroll in order to get yourself some “Super Super Rare” characters. This is something that unfortunately needs to be done if you’re looking to get some Super Super Rare (SSR) characters through the reroll – you simply have to start a new game life and drop your current game. Remove all your account data after that, and depending on whether you own an Android or iOS device, you’ll need to follow a few more steps, which we’ll be detailing below. If you own an Android phone or tablet, you’ll then have to look for an auto-reroll file so you can install it. That’s the easy way. The harder way is to play the tutorial level until you’re able to defeat Hercule. Go ahead and make your first roll, and if you don’t get the character you want, clear the data and repeat the process. If you’re using an auto reroller, you simply have to do everything we told you above, right until the part where you’re facing Hercule. Defeat him and roll like you usually would, and if you get a different character than the one you want, open your file manager (while leaving the game on) and follow the steps to install the reroller. 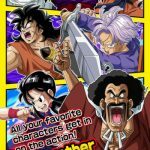 Dragon Ball Z Dokkan Battle will then keep re-rolling until you get an SSR character. If you’re playing the game on your iPhone or iPad, you will require a decent Android emulator for your laptop or desktop. Install an auto reroller inside the same directory where you’d store your Android files, and repeat the steps we mentioned in the paragraph above. You will need to use a different emulator if the one you’re using doesn’t exit automatically each time you reroll. 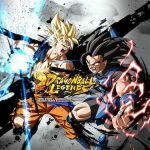 After you get your SSR in the PC-emulated version of Dragon Ball Z Dokkan Battle, get a device transfer code, install the game on your iOS device, and perform a device transfer from PC to iPhone/iPad. You can then move forward and make full use of your brand-new SSR.